TECH+ is coming to San Francisco! that help create the spaces of the future. TECH+ Forum & Expo brings together game-changers in Architecture, Engineering, Construction & Real Estate, sharing the newest technologies to help design, collaborate, and deliver projects efficiently, with the greatest ROI. The program includes three sessions covering issues unique to the region, including innovative building skins, high performance facades, and the future face of San Francisco. These well-rounded, expert dialogues will inform and inspire. The Facades+ conference series is a robust dialogue encompassing all things building skin—bridging the profession, industry, academia, operations, and ownership. We’ve distilled the best of the Facades+ 2-day event into a quick-take morning forum with a strong local flair. Facades+AM is coming to San Francisco this February. Darling is CEO and cofounder of The Architect’s Newspaper, celebrating its 12th year. The A|N media company consists of print and digital publications covering architecture and design news, as well as the Facades+ conferences. As A|N’s publisher, Darling won the AIA National Collaboration Award, Grassroots Preservation Award, and ASLA NY’s President’s Award. She began her publishing career as director of print production for The Gap’s European markets. She holds a BS from The University of Texas at Austin. Adam Marcus is an architect and educator based in Oakland, California. He directs Variable Projects an independent architecture practice, and he is a partner in Futures North a public art collaborative dedicated to exploring the aesthetics of data. Adam is also an Associate Professor of Architecture at California College of the Arts, where he leads studios in design computation and digital fabrication, co-directs CCA's Architectural Ecologies Lab and collaborates with CCA's Digital Craft Lab He has also taught at the University of Minnesota, Columbia University, and the Architectural Association’s Visiting School Los Angeles. 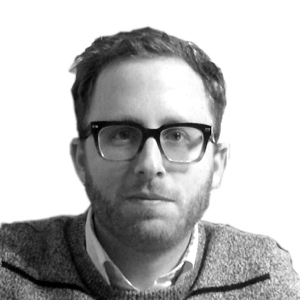 Adam currently serves on the Board of Directors of the Association for Computer-Aided Design in Architecture (ACADIA). Explore new tools assisting in creating prototypes to scaling up to printed buildings. Collaborative applications, robotics and new materials/fabrication methods will be discussed in case studies. Platt Boyd practiced as an award winning architect for 15 years prior to leaving a partnership three years ago to found Branch. His fascination with natural beauty and amazing structures led to the initiation of a new technology using freeform 3D printing combined with conventional materials to robotically prefabricate architectural assemblies with resource stewardship and unprecedented design freedom. The Cellular Fabrication (C-FAB™) method takes its cues from proven methods observed in nature, where material use is minimized, but form is free. Branch has become a global leader in large scale 3D printing, having produced the largest 3D printed pavilions in the world in 2016, and the largest 3D printed spans in 2018. They have received awards ranging from NASA, Inc, and Dezeen, to the State of Tennessee where they are located. They are working with the National Science Foundation, Department of Energy, and corporate partnerships to further develop the technology to produce loadbearing composite walls used for homes and commercial facades. 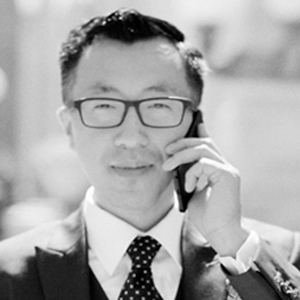 Robert Yuen, Assoc. AIA is a partner at Dixon & Moe, co-founder of Section Cut and Monograph. Yuen received his M.Arch and MSc. in Digital Technologies from the University of Michigan and has worked as an architectural designer in Chicago and in San Francisco before moving into the software industry. 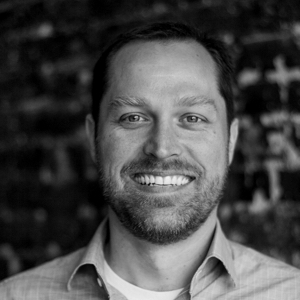 Lucas Reames, AIA leads Trimble's Consulting group (previously Gehry Technologies). He specializes in defining, designing and implementing project delivery systems for clients of large scale project in the USA, Latin America and Asia. Experience includes higher education, entertainment, transportation, sporting, civic complexes, retail and offices. David Scheer is an Architect, builder, developer and energy modeling expert. Currently David is CTO of PlanIT Impact, the fastest performance assessment tool on the market for building owners and designers. 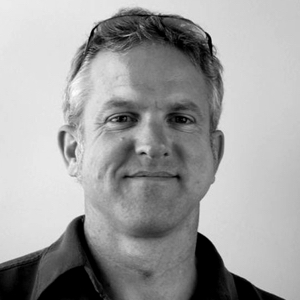 Previously David served as a domain expert and Special Projects Manager with the Autodesk Building Performance Analysis group. David has also worked in land planning and GIS research, and as a contractor, fisherman, and float plane pilot in California and Alaska. 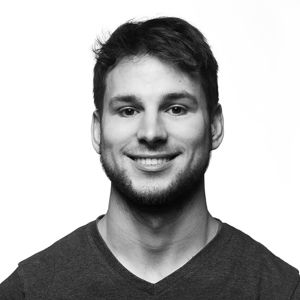 Jake Solis is an entrepreneur, technology consultant and CEO and Co-Founder of 1+1 TECHNOLOGY. He started his technology career in 1997 at Synnex Corporation and has designed systems and processes for high performance computing environments and big data clusters. Today he is on a mission to digitally transform and protect small to medium sized businesses. He has developed a process of technology alignment to ensure technology meets the needs of an organization’s vision, mission and core values. 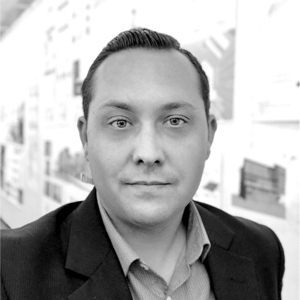 Michael Hoppe combines extensive architectural design experience with his deep knowledge of 3D BIM modeling, 3D graphics, and virtual and augmented reality. As Geopogo’s Creative Director, Michael is expanding the potential of 3D visualization and 3D model functionality. He is leading the development of our Pogopods product. Collaborative tools in client interface and design help to deliver a major capital project. How Kuth Ranieri, Gensler and Hensel Phelps incorporate tools like virtual reality/AR, lifecycle analysis and materials like dynamic glass in the design process at the new Terminal One at San Francisco International Airport. 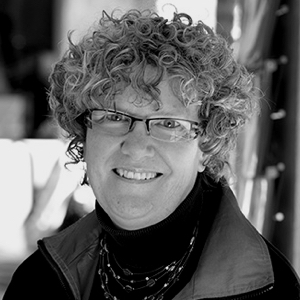 Elizabeth Ranieri, FAIA, is co-founder and design principal of Kuth Ranieri Architects, a Bay Area research-based firm that has earned a reputation for innovative works of architecture that integrate environmental awareness with contemporary issues of design, technology, and craft. The firm’s commissions range from pavilions to museums and airport terminals. Kirsten Ritchie serves as one of Gensler’s leading sustainability ambassadors, championing healthful and forward-thinking design solutions and leading public discussion around innovative and high-performance design and operations. Her experience encompasses workplace, retail, hospitality, education, transportation, aviation and infrastructure sectors. She is an authority in green product standards and sustainability rating systems (including LEED and LBC). 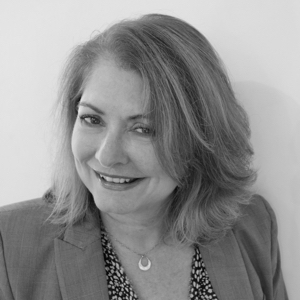 She has served on numerous boards and in other advisory positions, including roles with the Material and Technical Advisory Group at USGBC, Board of Directors of the Green Electronics Council, Board of the Ecological Building Network, and as advisor to the Health Product Declaration Collaborative. Ritchie holds a B.S. in Civil Engineering from the University of California, Berkeley, and a M.S. in Civil Engineering from California State University, San Jose. 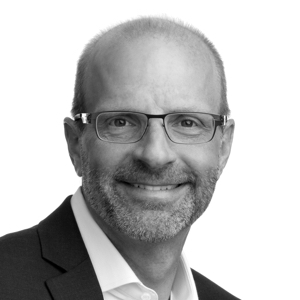 Mark Rothman has more than 26 years of design and construction experience as an aviation-focused architect and construction design director. 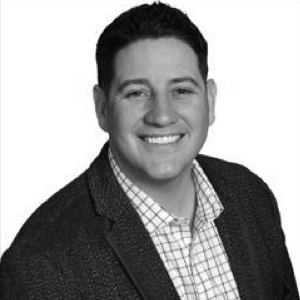 Often charged with heading up stakeholder engagement, Mark works to facilitate and build consensus among key stakeholder groups while aligning the outcome with the project goals. His expertise ranges from overall terminal planning to BHS Systems and AIS Systems and airport infrastructure projects. Mark’s extensive experience with world-class airport facilities includes projects at San Francisco International Airport, San Jose International Airport, Qingdao International Airport, Shanghai Pudong International Airport, Yangon International Airport and Hohhot Shengle International Airport. Dr. Tinianov's 25-year career has been dedicated to product innovation in the field of building technology and real estate. 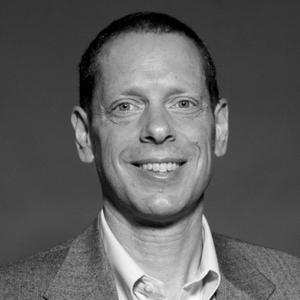 He currently serves as View’s VP of Industry Strategy where he leads their research and industry engagement initiatives. His work spans current trends in commercial real estate, workplace strategy, and the impact of the built environment on the health and wellness of today’s workforce. Prior to joining View, Dr. Tinianov was the Chief Technology Officer at Serious Energy and prior to that, a senior researcher at the Johns Manville Corporation. He is the Chair of the Advisory Council of the US Green Building Council and a member of the Board of Directors. He has a PhD in Engineering Systems, is a registered Professional Engineer and a LEED Accredited Professional. Architects and designers utilize new technologies to create healthy workplaces for their occupants. By integrating systems and analytical tools and utilizing environmentally sensitive materials, they can enable teams to work smarter and happier. Experts will discuss how these new tools can create successful workplaces, while satisfying both owners’ ROI and tenants’ needs. Lindsay Baker is the Head of Sustainability & Wellbeing at WeWork, leading the company's efforts to drive positive impacts on global and human health. 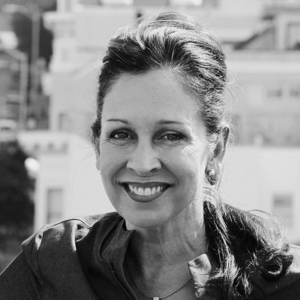 An industry veteran in the field of sustainable and healthy buildings, she has held positions in Google's Real Estate team, as a part of the original team at the USGBC who built the LEED Rating Systems, and most recently as the President and Founding Team member of Comfy, an Oakland-based smart buildings software company. She holds a bachelors degree in Environmental Studies from Oberlin College and a Masters degree in Building Science from UC Berkeley. She is active in a variety of Bay Area organizations that work on building healthier and more sustainable communities, including as a Board Member of SPUR (Oakland Board) and an Advisory Board member of the Tech Equity Collaborative. Hagen is an expert in building performance with over a decade of experience in the application of advanced building analysis, including facade optimization, shading analysis, net zero water and energy, resiliency, and carbon management. 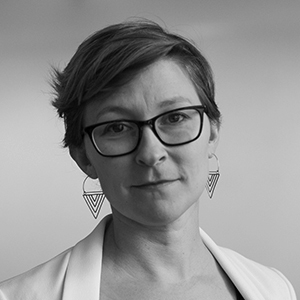 In addition to her role as Associate Director of Atelier Ten’s San Francisco office, Hagen serves as a member of the Facade Tectonics Steering Committee. Mara Baum co-leads HOK’s global health and wellness practice. Baum brings nearly two decades of experience in architecture, building science, urban planning, research, teaching and green building certification. 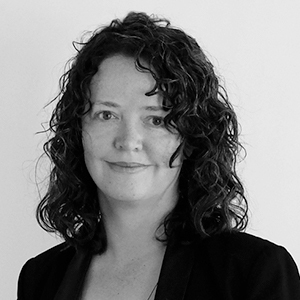 A thought leader in design for health and wellbeing, she brings her clients insight into achieving healthier, happier and more productive building occupants and community members, while also achieving financial, environmental, and other goals. A WELL AP and WELL Faculty member with deep teaching experience in both industry and academia, Mara brings high quality education and mentorship in all aspects of the WELL Building Standard. 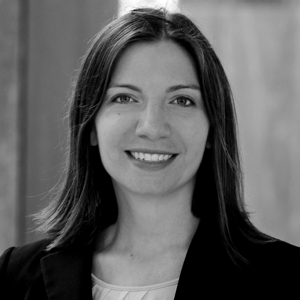 She also holds the Evidence-Based Design Accreditation and Certification (EDAC) credential, enabling her to leverage research methods and outcomes to inform building design, operations and maintenance. Baum has a Master of Architecture and Master of City and Regional Planning from the University of California Berkeley, and a Bachelor of Arts in Architecture from Washington University in St. Louis. She is online faculty for Boston Architectural College’s Sustainable Design Institute, where she teaches “Green Building and Health” and “Sustainable Design of Healthcare Facilities”. When the facade of a structure is intended to reveal branding identity and the program of the building, a new set of design requirements is encountered. The building skin is hence required to mimic a visual prototype and an unconventional set of guidelines while being a highly functional envelope. This panel addresses two sets of projects: the Nike store in NYC and the Burberry store in Seoul, South Korea on the one hand and the Pacific Visions Aquarium, Long Beach, Calif., on the other. Experts of design and construction teams on these projects will explore design strategies, cutting-edge fabrication techniques and unique approaches to meet the exceptional project requirements. Complexity in building form directly influences the form and construction of the structure’s envelope. As designers and their tools push the boundaries of geometry and building performance, facade experts meet these ever changing progressions through reinvention and new methodology. This panel discusses several such projects, including: Innovation One, University Research Center, Madison, WI and Dr. George W. Davis Senior Center, SF, where innovative design and technologies overcome the typical institutional and multifamily facade. Some building elements are instantly associated with particular functions, eras and places. As architects remodel familiar building prototypes, new innovations in architectural modeling tools and technology make them a reality. The world of facades has evolved to regenerate familiar building elements and model them in extraordinary ways. This panel will consist of experts from Studio Gang and Pfau Long Architects to talk about shifts in the program of buildings, transformations in their skins and engineering marvels. It will also examine new structures that have reinterpreted static building elements into those of dynamic and performative delight. Lunch will be served and CEU credits will be provided. Directly follows the Facades+AM morning forum. Tech Plus was a fantastic experience for our team. We met Morpholio Trace power-users from across the country, had the opportunity to share and demo Trace to a broad range of professionals and potential users, and even connected with fellow tech innovators, and thought leaders. Developing these relationships is invaluable as we all strive to bring the most interesting and integrated tools to the field. As a young start-up, the Tech + conference gave us the exposure we needed to start the conversation with the right people. What I enjoyed most was how curated it was, not only in terms of the attendees, but also the vendors and sponsors. Being part of the conference, I not only was able to showcase cove.tool, but also learn about so many other innovative AEC startups. FRIDAY ONLY Created with Sketch. 2-DAY COMBO Created with Sketch. Single or Double rate: $374/night plus tax & incidentals. Cutoff date for special rate is January 5, 2019. Reserve online or call the hotel directly and ask for The Architect’s Newspaper special rate. Become an Exhibitor or Supporter of the Facades+ Conferences.